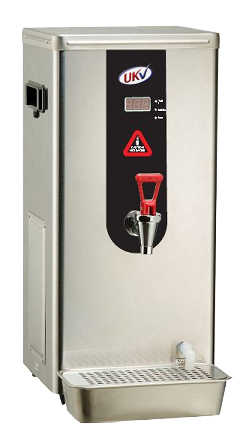 The UKV 1200L water boiler from UK Vending offers customers a great compact and reliable counter top water boiler that will add to your office or workspace. The boiler can produce 27 litres of hot water per hour or the equivalent of 162 8ounce cups and is offered with Brita water filters to ensure excellent water quality at all times. UK Vending offers the UKV 1200L with a full year's parts and labour guarantee plus easy access for service and cleaning as required.